Overcooked! 2 (game, 2018). A cooperative cooking simulation video game by Team17 Digital Ltd/Team 17. Developed by Ghost Town Games Ltd., Ghost Town Games and Team17 Digital Ltd. Official Trailer. Overcooked! 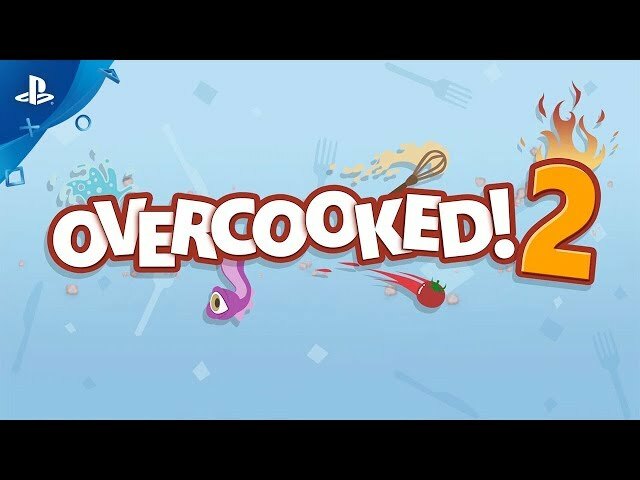 2 is a cooperative cooking simulation video game by Team17 Digital Ltd and Team 17, developed by Ghost Town Games and Team17 Digital Ltd and Ghost Town Games Ltd..
Overcooked! 2 - Launch Trailer - Nintendo Switch. 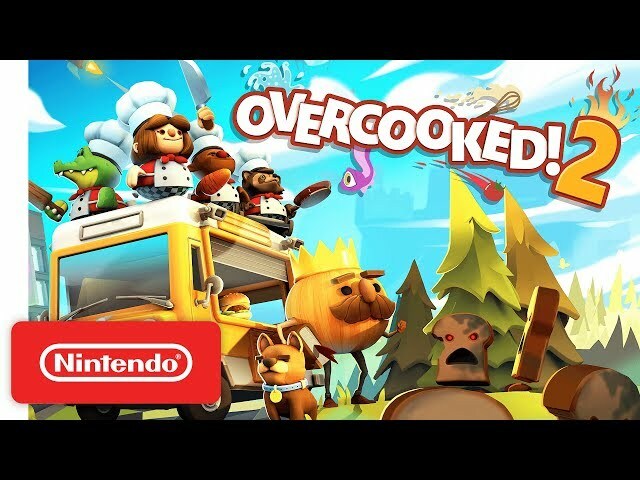 In the cooking simulator game Overcooked 2, teams of up to four players cooperatively prepare and cook orders in absurd restaurants. Players chop and cook ingredients, combine them on plates, and serve dishes via a conveyor belt. Between coordinating short orders and bumping into each other's characters, the game tends to overwhelm. The sequel builds atop the original game, which was released in 2016, with new interactive levels, restaurant themes, chef costumes, and recipes. Some levels have moving floors and other obstacles that complicate the cooking process, including portals, moving walkways, and impassable fires. Other levels transition between settings and recipes, such as one that begins with preparing salads in a hot air balloon and ends crashlanded in a sushi kitchen. 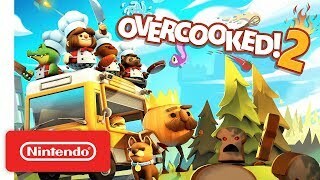 The sequel introduces ingredient tossing, such that players can throw items to another chef or pot from far away, and online multiplayer, in which teams can connect either across a local wireless network or through online matchmaking. Overcooked! 2 was scheduled to be released by Team17 Digital Ltd and Team 17 on August 7, 2018. This video game is available for the following platforms: Nintendo Switch, PlayStation 4, Windows, Mac, Linux and Xbox One.